Habitat has the apartments we design. 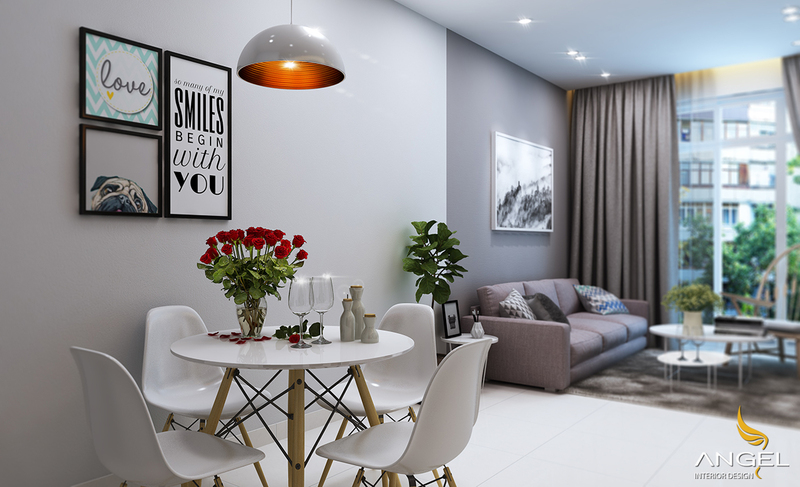 Although the apartment is mid-range but the interior always brings a different view due to design. 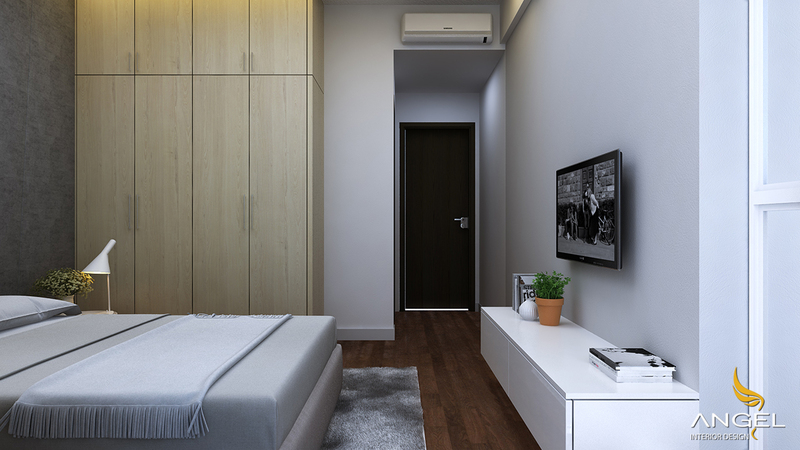 We will help the apartment to become beautiful and more in. 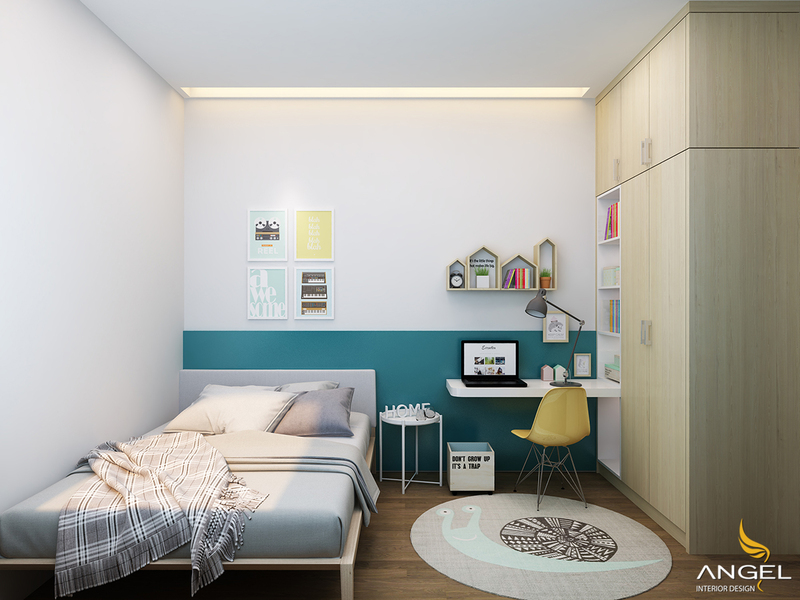 With an area of ​​73.58m2, the apartment consists of 1 living room and 2 bedrooms. 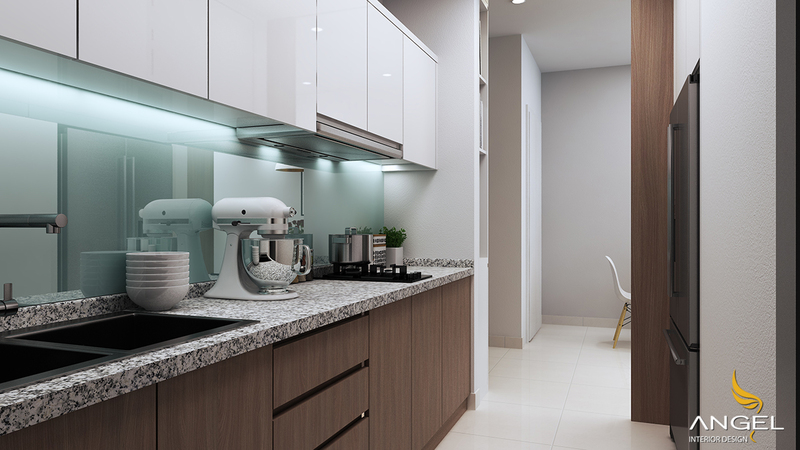 Angel interior design creates a personal style when looking at the interior of the apartment. You will feel the detailed fine lines that design we made the maximum effort. Not to be disappointed with you as well as the owner Mr. Louis. 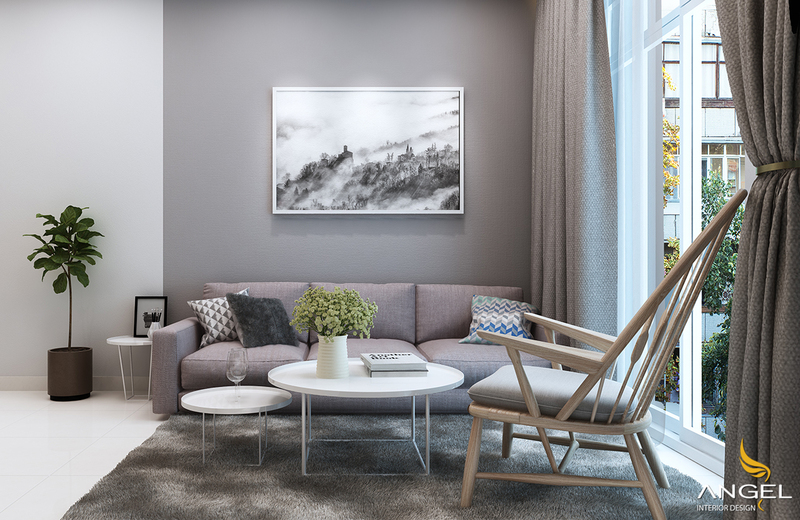 The living room is neatly arranged in a small and cozy area. Right next to the main window is a high-end sofa. And a very small set of tables was built at the Angel Design shop. Facing TV is a photo of the owner's style. To express the owner is modern, elegant. Displayed on a contrasting gray background. With kitchen cabinets are quite eye-catching because of the prominence of the kitchen cabinets under the use of wood color. 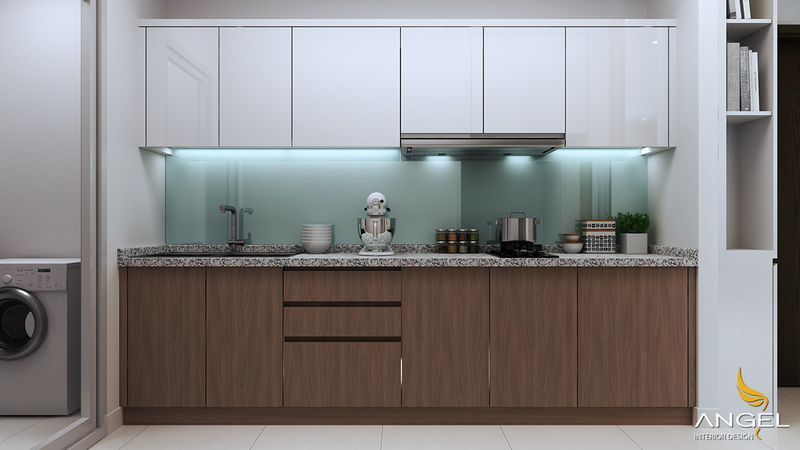 Especially, both the upper and lower kitchen with Melamine coated to increase durability. Just as easy to clean in the "rolling time" in the kitchen. Bedroom space is a private place for the apartment. The large bedroom is decorated in a rather deep color, which gives a feeling of sleep. 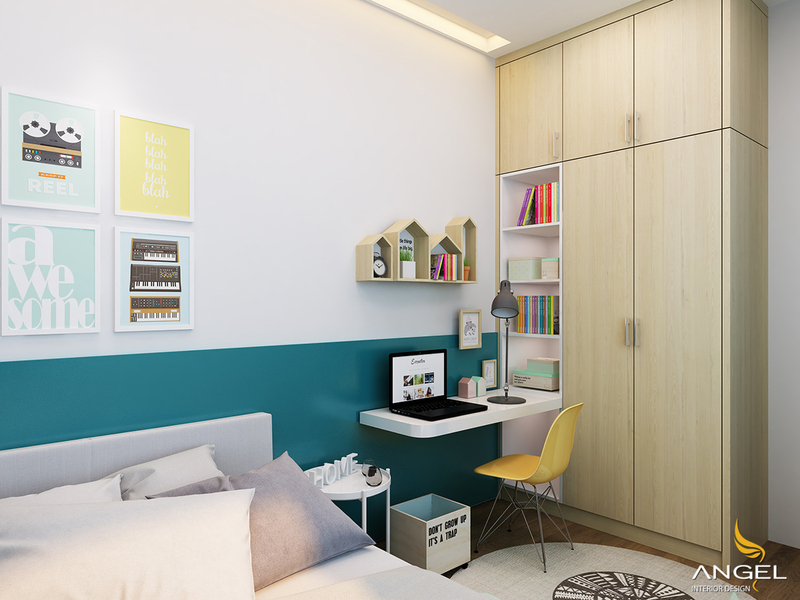 In the room can narrow the closet into three compartments for compact. Purchase more dressing table because Mr. Louis's bedroom space is not available. Simple desks designed specifically for children's bedrooms. With the bookcase combined with books to help children have more space. 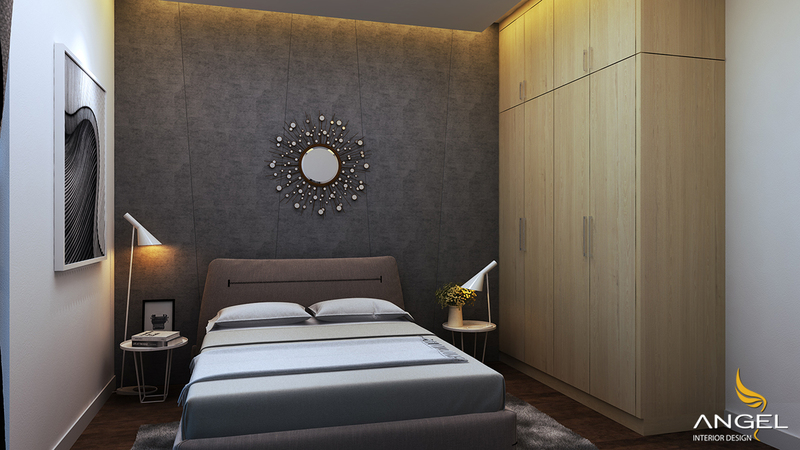 Unlike the parent bedroom, the bedroom offers a sense of well-being. Due to the light color is not the same as the tone of the apartment.